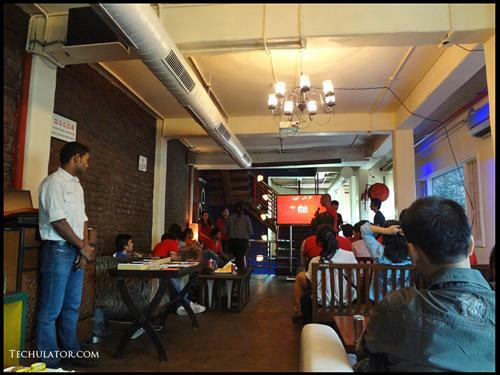 Xiaomi India today launched its second smartphone in the Indian market, the Redmi 1S. At a launch event/press conference held at New Delhi, they not only launched this budget oriented device but also slashed the price from Rs.6999 to Rs.5999 in India. Xiaomi had promised to launch the Redmi 1S at their Mi 3 launch event that was also covered by Techulator. In association with Flipkart, the registrations for the Redmi 1S start today and deliveries would start effective 2nd September 2014. The launch event was covered by Xiaomi India Operations head, Mr. Manu Jain along with Mr. Hugo Barra, Vice President, Global. Starting with the overwhelming success of the Mi3, Mr. Barra continued to talk about the features of Redmi 1S and their future plans for India. I was delighted to see a smartphone that not only was inexpensive but also very capable in terms of hardware and software it runs on. - Screen guards and pouch covers. Mr. Barra also announced that Xiaomi India are in the process of opening more service centers in the Indian cities of Gurgaon, Mumbai, Chennai and Hyderabad pretty soon. He also confirmed that the newly launched Mi4 and MiBand devices would be launched in India this year. For interested in the features of the Xiaomi Redmi 1S smartphone, here's a Hands-On video review that we made for our viewers. Click here to see the built quality and hardware specifications of the Xiaomi Redmi 1S. The Xiaomi India officials stated that they didn't expect such an overwhelming response to the Mi3 and are better prepared for the Redmi 1S, however, we feel they will again have to bring in additional stock of the Redmi 1S considering the demand for killer priced products in India. Lets hope this time around the buyers won't have to wait for the Redmi 1S as long as they did for the Mi3. We hope you liked reading this article. Please feel free to comment below letting us know your feedback on this article and the products. We would love to hear from you.